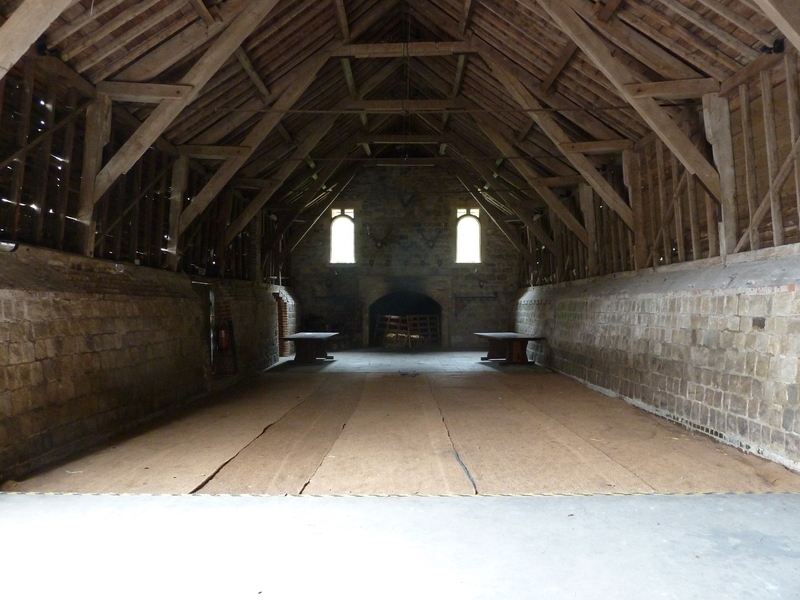 We were really pleased with the transformation of the interior, we hung the roof overlays between the main beams so as not to take away from the original appeal of the barn’s oak roof. 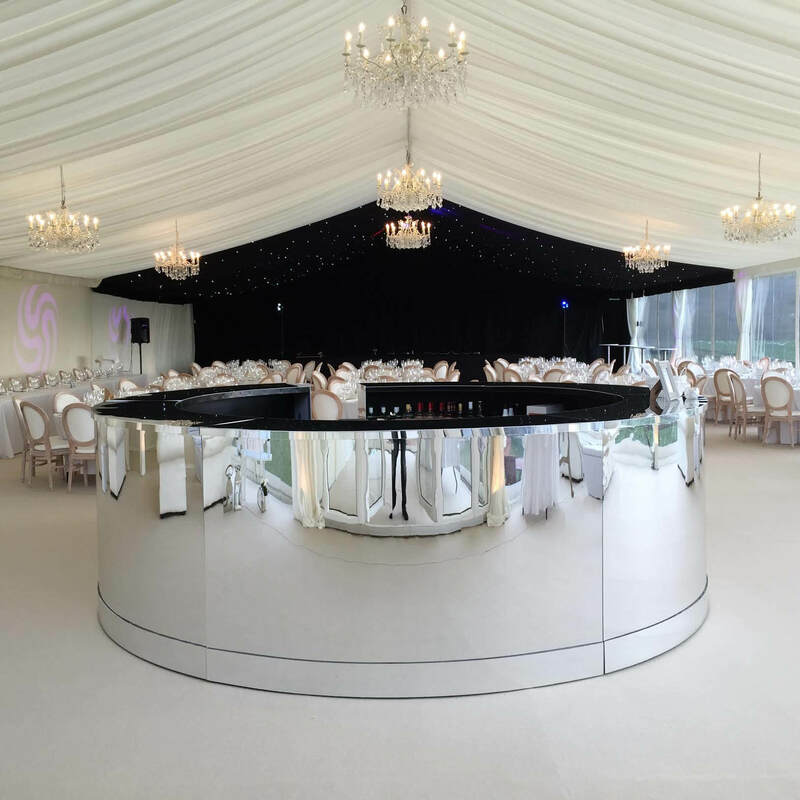 We also added in an ivory carpet to match the overlays, this covered the normal coconut matted floor which is used. 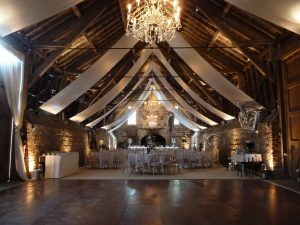 The central chandeliers and uplighting around the sides helped to highlight the stone walls, the oak beams and our roof overlays. 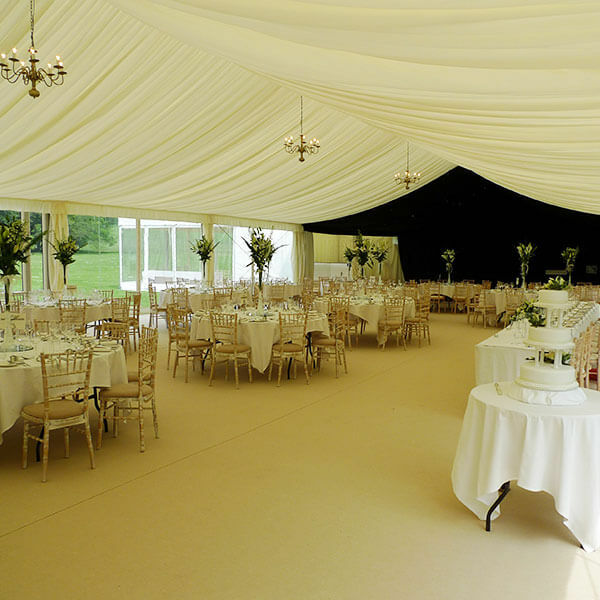 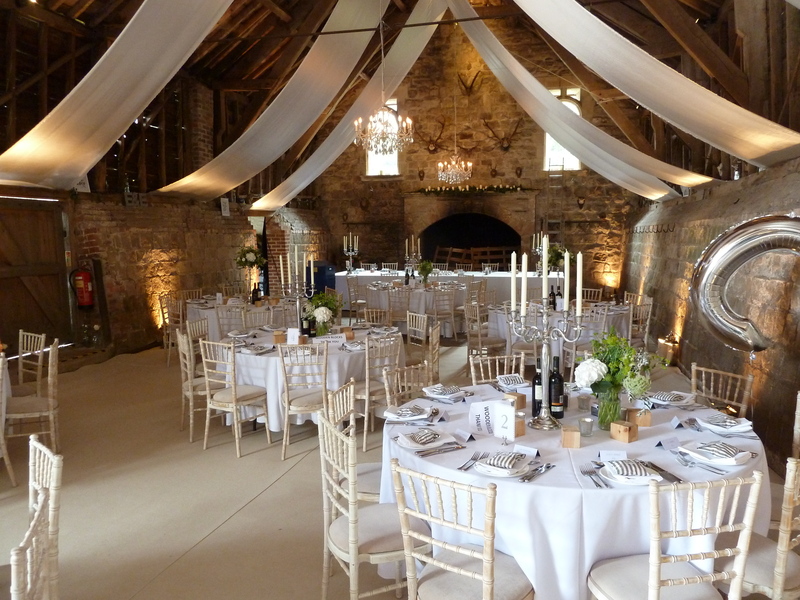 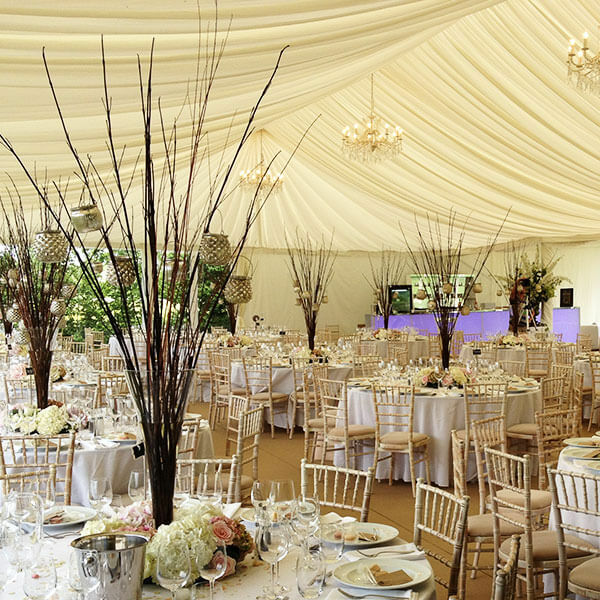 We think our Chiavari chairs are a perfect match for the barn, especially with ivory carpet. We improved the dance floor and stage area by added a wooden dance floor and carpeting the stage which is usually just a concrete surface. We also added the starlight back drop which worked really well behind the band in the evening. 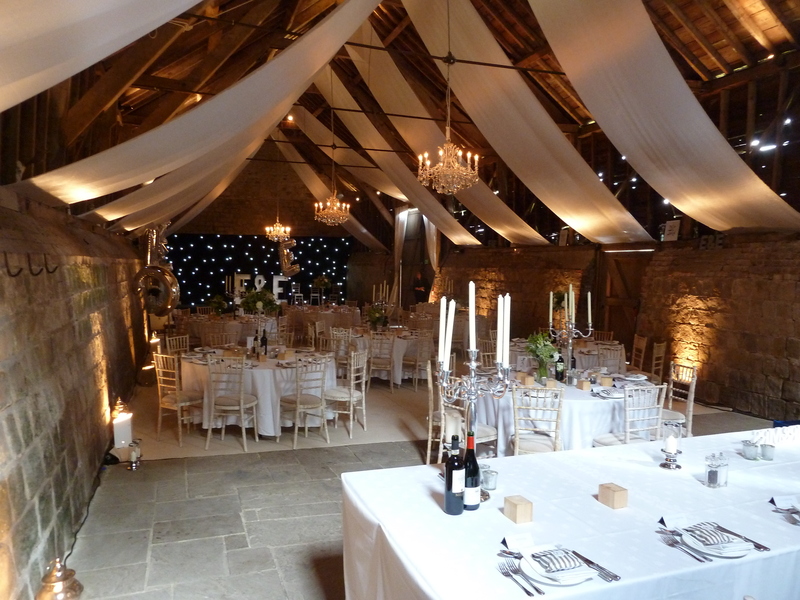 The chandelier here was on separate dimmer switch so as not to take away any atmosphere for the evening dancing. 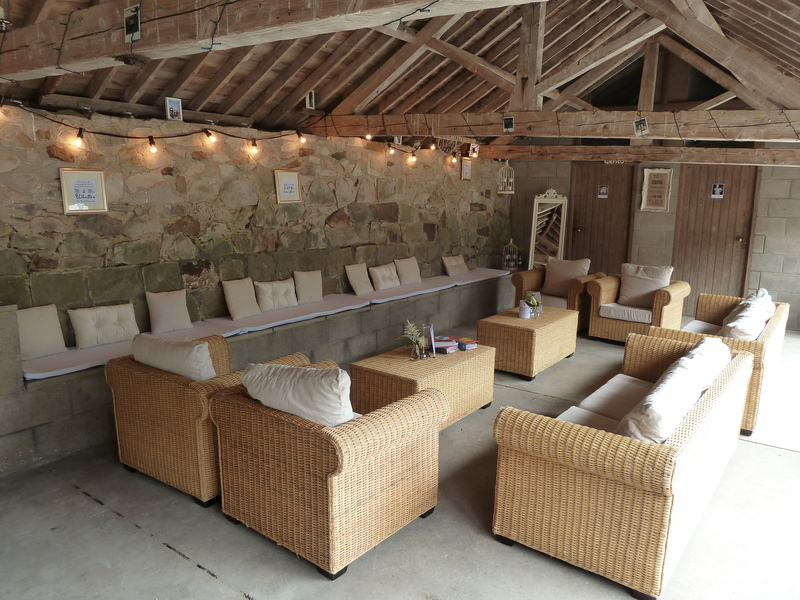 Outside we added this lovely seating area, Ed and Emma made the cushions for the wall seat whilst we added rattan sofa sets for the chill out area. 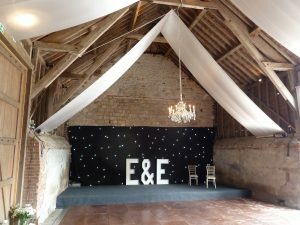 We often do work at Wick Bottom Barn, whether you need the venue dressed to a similar specification or just want to hire furniture we can help!